Till a few years ago, people relied on newspapers and their TV to get the news they were interested about. Nowadays, there are plenty of blogs and news sources you can sign up for to keep up with the latest developments on topics that interest you. Zite is a powerful personalized magazine application that delivers news, blog posts, and videos that you don’t want to miss. 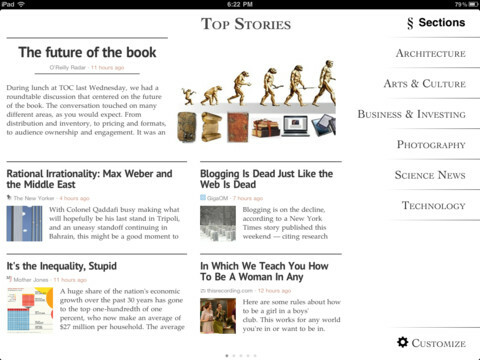 Zite for iPad personalizes your content, so you get interesting new stories everytime you open the app. This is a smart magazine as it learns from your reading habits and customizes your content accordingly. You can thumb up/down the articles presented to you. 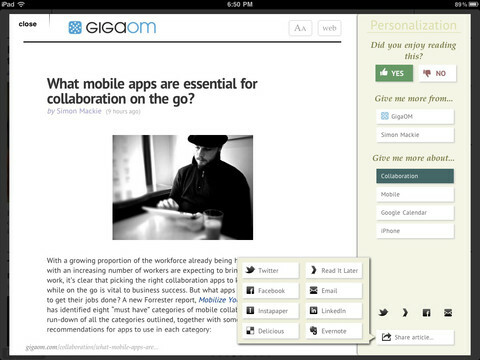 The app provides support for Twitter, Read It Later, Facebook, Delicious, and Evernote. Zite Personalized Magazine can sync your account with Google Reader. 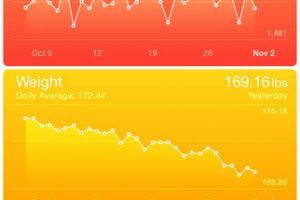 I was quite impressed with the interface in this app. The fact that it does the dirty work for you means you can easily use this app to get over your information overload. A nice alternative to apps such as Google Currents and Flipboard.